This article has been written by Gene Taylor. 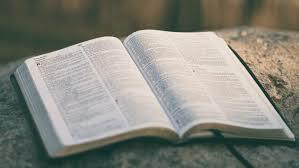 The Bible and its teachings are not to be applied “loosely.” If one is going to be pleasing unto God, he must strictly adhere to those principles He has revealed in it. There are a number of good reasons why. The Bible is fully inspired of God. 1 Corinthians 2:9-13 says that the Spirit searched out the deep things of the mind of God in order to reveal them to man. The Spirit then moved godly men to write those things down in permanent form in the Scriptures, the Bible (2 Pet. 1:20-21). 2 Timothy 3:16-17 says, “All Scripture is given by inspiration of God, and is profitable for doctrine, for reproof, for correction, for instruction in righteousness, that the man of God may be complete, thoroughly equipped for every good work.” The word translated “inspiration” in this text literally means “God-breathed.” It is the same as saying that all Scripture came directly from the mouth of God. Thus, in the Bible we have God speaking His will directly to man. Since His ways are higher than ours (Isa. 55:8-9) and all authority emanates from Him, we have no right to question or ignore anything that He has said in Scripture. Thus, the Bible alone is the guide and standard in religion and its teachings must be strictly followed and applied. There are divinely imposed limits or boundaries for truth. There is a specific realm where divine authority is found. That area is the word of Christ (Matt. 28:18; Heb. 1:1-2). Outside of it, there is no authority. Jesus sent the Holy Spirit to the apostles with “all truth” (John 16:13). No other gospel is to be preached other than the gospel of Christ (Gal. 1:6-9). One is not to beyond the doctrine, teaching, of Christ (2 John 9). One is not to teach any words other than the words of Christ (1 Tim. 6:3-5). One is not to go beyond the things which are written in the gospel (1 Cor. 4:6). One must do all things in religion “in the name of Christ.” Colossians 3:17 states, “And whatever you do in word or deed, do all in the name of the Lord Jesus, giving thanks to God the Father through Him.” “In the name of” is the same as “by the authority of.” Thus, whatever we do in the religion of Christ, we must have authority for in the word of Christ, the gospel. And we must apply all that is found in His teachings. The distinction of strict versus loose comprises the difference between “liberals” and “conservatives” in religion. “Liberalism” is manifested when a congregation does not restrict or limit the church to what is authorized in the doctrine of Christ. A “liberal” stance by a congregation could involve a church in such things as adding to its work or mission those things not authorized by Christ in His word; devising organizational changes such as enlarging the scope of elders’ authority; and perverting the worship services.